So the “left news media” is out on the streets preaching about the political rhetoric and how it made a gun go down to Tucson and kill 6 people injuring 14 others. To my knowledge, the one carrying the gun is called the “shooter” and he has a history of mental problems, drug problems and possibly an obsession with Gabrielle Gifford. Only time will tell as the investigation continues and unravels the whole story, but one thing we know is the conservatives, Republicans or Sarah Palin, Rush Linbaugh or any other talk show host wasn’t the perpetrator or cause of this crime. Since the left is jumping up and down on their soapbox, let’s do a review of comments from the past by Barack Obama. In fact, let’s go back to the 2008 Presidential campaign and review the left’s behavior. “When they bring a knife, we bring a gun,” President Obama is a pro at utilizing the agitation button. He loves to incite anger and discontent. Who do you think started the entire ruckus about Arizona’s SB1070 – Mr. Obama when he announced to the world we were misguided; he knew the left would come out swinging and with armor. He incites terrible behavior in others and loves to watch the news media, Civil Rights Leaders, lobbyists and his cabinet fight his battles. To many Americans, his comments about the SB1070 were insignificant, but those few words were in Morse Code and it rallied all of his “Big Dogs,” to do battle in his behalf. The News Media have made absolute fools of themselves when they turned the massacres in Tucson into a political ruckus. Americans are weary of the regurgitated news, edited and re edited to illicit a particular opinion from the viewing audience. It isn’t just bad taste; the misrepresentation of information and facts is the result of poorly misguided people. These are the people who cause anger and discontent within our Nation! The speech by President Obama last night was pretty much a reminder of why he won the Presidential election – his speech was filled with empathy, concern and feelings towards all peoples. We would like to feel that this person was sincere and willing to govern our country with compassion, honesty and fairness, but one must look beyond the words and wonder if this speech was in fact created to increase his ratings and prepare him for 2012. Only time will tell if this man has actually changed his ideology or is merely doing his soft shoe shuffle pretending to pull yet one more rabbit out of the hat. For me, the reality is this – you can’t change a leopard’s spots and Barack Obama can’t change, because he is the creation of his handlers. No doubt, last nights events must have touched his soul as he said those beautiful words at the Memorial in Tucson, but is he capable of fighting off those who have created him? May God Bless All Americans and be with the families and victims of this horrific crime. Gabrielle Gifford and 13 other fellow Americans were shot outside a Safeway store in Tucson. Gabrielle was there to continue the Congress on the Corner meetings for 2011 – and her constituents were there to discuss problems, voice their opinions and ask Gabrielle questions. What should have been a friendly gathering turned into a scene where one of the most horrific crimes of our day occurred! What did our Nation do when they heard about the shooting of fellow Americans in Tucson? They offered prayers, candle light vigils and support for all the victims of this crime. Our Nation is grieving and in mourning – this is a time of unity, unconditional love for our brethren not the time to play politics or a time to endure the childish reactions of the News Media. What did the News Media do when news of the shootings in Tucson hit their ears? Did they participate in candle light vigils or bow their heads in prayer? Apparently they jumped into the fray creating havoc and disrupting our moments of silence for our loved ones. Even before the name of the “Shooter” was known, they decided to take a tragic accident and turn it into a political frenzy; they weren’t interested in the truth! Oh the games people play to burn the coals of anger and discontent. MSNBC’s Keith Olbermann viciously used the savage murders in Tucson Arizona to fuel fire against Sarah Palin before he knew the real story. Was this good journalism or could it be merely a way to increase his viewing audience? Clarence Dupnik Sheriff in Tucson wallowed in the limelight of the news media. Did Clarence attempt to handle his part of the investigation quietly without spewing hatred towards others – nope Clarence jumped into the fray immediately and started pointing fingers at others. Clarence, like all of us doesn’t know the whole story, but he’s going to make the most of his day on TV regardless of the victims and their families who are suffering. In the first few hours after the murder spree in Tucson, some of news media tried to turn this shooting spree into a political fiasco, but Americans were quick to respond to the way the media was handling the shooting of Gabrielle Gifford and 13 others. Basically they said enough is enough! Now 2 days after the shooting in Tucson, Republicans, Democrats, the news media realizes that this is a time for unity and love – Americans across the country are praying and many mourning for the loss of our loved ones. 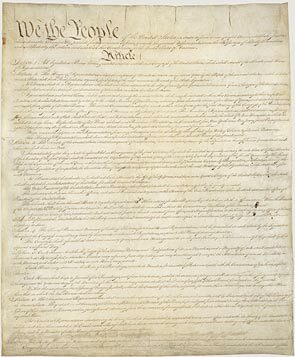 We all know that our forefathers gave us freedom of speech instilling in our hearts that Congress shall make no law respecting an establishment of religion, or prohibiting the free exercise thereof; or abridging the freedom of speech, or of the press; or the right of the people peaceably to assemble, and to petition the Government for a redress of grievances. As citizens of the USA, we should understand that freedom of speech comes with a certain amount of unstated duties. We should restrict our blogs, our commentaries on TV to the truth, real facts and information showing respect for our fellowman. When TV anchors, bloggers and our online Internet sites resort to lies, propaganda and spew hate in order to increase their viewer rating, one must wonder if they have a conscience. Many news venues have thrown out good journalism and sold their souls to the “Devil.” They are the devil’s advocate without a conscience or respect for their fellowman. One thing remains true, Americans don’t have to read their blogs, listen to their commentaries or waste their time reading garbage; they have 2 great defenses a TV wand and a darling little mouse. You know what to do! May God Bless America, Gabrielle Gifford and all families of the victims in Tucson, Arizona. What is CNN thinking when they interviewed Neil Abercrombie? Did they actually think Abercrombie is supporting Barack Obama? They’re wrong, dead wrong – Abercrombie is a specialist on self promotion and therein lays the story. If Abercombie knew the truth about Barack Obama, he would have stood on his soap box and announced it to the word. Mr. Abercombie is a man of many words and little gumption or common sense, because he’s only opening Pandora’s Box once again. Just when Obama thought he was home free, Neil springs a “Show N Tell” on our Commander In Chief. The darling governor is a spinner of tall tales, it appears – the Obama gangs refuse to comment with hopes that he’ll shrivel up or paddle over to another Island. Neil said during an interview “Maybe I’m the only one in the country that could look you right in the eye right now and tell you, ‘I was here when that baby was born.” The keywords here are “that baby,” I do believe Neil just had a slip of the tongue. He refused to answer a reporter during this interview when asked if it wouldn’t be a good option for Obama to waive his privacy rights so the actual birth certificate could be released. Neil, like Chris Matthews, O’Reilly, Beck and many other prominent journalists or broadcasters are back treading now and praying that Obama will clear the air with one phone call. Eggs everywhere guys, not just on your face. On December 29th, CBS stated that Barack Obama is in his home state of Hawaii enjoying his vacation. Was this a little nudge in an attempt to convince Americans that Obama actually was born in Hawaii? The new Speaker of the House, John Boehner is another straddler like Obama – referring to Obama’s citizenship status, John says, he doesn’t question Obama’s citizenship and Hawaii’s good enough for him. In other words, if Obama wants to call his home Hawaii, it’s O.K. with Boehner. Boehner’s response sort of reflects the attitude of many Americans and the question I keep asking myself is why don’t we care about our Nation, our children, and our grandchildren? Why have we allowed the News Media and our Congressional leaders to treat us like a bunch of pack rats? They toss out tidbits of news here and there expecting us to devour it as gospel and many of us are too busy to do our homework that we gulp down and digest whatever is tossed our way. It really doesn’t matter to me where Obama was born, but it does matter to me that he has spent millions of dollars hiding his past. Why would Obama come to Americans and apply for the job of President and expect us to hire him without being vetted? In very simple terms, we’re his employer and he is our employee. As citizens of the USA, we are to defend our Nation, participate in Government and be informed about our government. Do we really know who’s keeping our children and grandchildren out of harm’s way? It appears we have a visual of the “Pot calling the Kettle.” Go to CNN Politics, November 22, 2008 and read what David Gergen, a CNN senior political analyst and adviser to four past presidents had to say about Barack Obama’s vetting process. Better yet, ask Penny Pritzker, a major Democratic fundraiser, a Chicago businesswoman and faithful Obama supporter, about the 7 page (very intiment and personal questionaire) along with the extensive FBI background check. Obama insisted on vetting with questions that very few human beings here on earth could tolerate – they dropped off his band wagon like flies. Yes, it really matters who’s leading our country – every American is endowed with unalienable rights, if in fact those rights are infringed upon our freedom and liberty no longer exist. On September 11, 2001 our complacency and trust allowed terrorists to invade our turf killing thousands of our loved ones. Before this horrific crime took place we allowed a young man named Hanjour to make himself at home traveling in and out of our country; he frequented various aeronautical schools in our United States enrolling for short interims and disappearing. Federal Aviation Administration records show Hanjour obtained a commercial pilot’s license in April 1999, but how and where he did so remains a lingering question that FAA officials are reluctant to discuss. His family and friends described him as shy, introverted and one who struggled with studies. The many instructors that Hani Hanjour had were all of the same opinion, that he was incompetent and shouldn’t receive a pilot’s license – but he piloted one of the planes that destroyed many fellow Americans. We actually placed the lethal weapon in the hand of a terrorist, because we try so hard to be politically correct and not ruffle feathers. Oh yes, it matters who is keeping our children out of harm’s way – none of us, know the man we call Obama, where was he hiding out from 1961 to present. We hired Barack Obama; he works for us and it’s time to do some vetting. Furthermore, we have a duty to “support and defend the Constitution of the United States against all enemies, foreign or domestic, God didn’t ask to much of us when he blessed Americans with this beautiful Nation and we need to insure that the Commander In Chief, Mr. Obama has the credentials to perform his duties as laid out in our Constitution. Chris Mathews says it sort of matters now – he actually is out of his comfort zone at this time and would like Barack Obama to do whatever it takes (as long as it’s legal) to clear up the “birther” dilemma. Glenn Beck our friendly scholar who without a doubt has opened our eyes, ears and our hearts is sitting in the shadows rolling his eyes and saying he thinks Mr. Obama is probably a natural born citizen. Here’s the man who says every day on National TV, don’t take my word for anything – do your homework. CBS, NBC, MSNBC, ABC and other various news media including FOX are employing the usual don’t stick to the subject ploy or better yet just change the subject. They don’t have much choice after two years trying to fabricate an illusion about Obama’s citizenship. If anyone of these news media including FOX had proof – it would be making National headlines as we speak. So again I say, LTC Terrence Lakin it matters! Two men meeting in the dark in the spring of 2010, neither one aware that within minutes literally our whole Nation would be exposed to a political crime about to unravel. One who some call the Commander In Chief would give the other one orders to deploy to Afghanistan and that’s the beginning of the story, but not the story. Barack Obama wasn’t vetted so his background and history remain a mysterious illusive compilation of what if’s, we think, we’re not sure and maybes. Any day now, I believe the real Barack Obama, Barry Soetoro, Barack Hussein Obama will raise his hand an stand up – America deserves to know who is running our country, keeping us safe and defending our Constitution. Two humans going their separate ways yet etched at the hip in a fight for their lives. One promised change and “Change” arrived in 2009, 2010 wrapped in a rather large box of promises. One served his country with valor, honor for 18 years, one hid in the bushes for over 18 years. One contributed and one distributed. One sat in prison at Fort Leavenworth KS during Christmas 2010 and New Year’s 2011; the other spent the taxpayer’s money on an Island in Oahu in the Hawaiian Islands basking in the sun and chasing moon beams or was it golf balls? One lived by conviction and followed principles and from all indications the other lived by preferences only. One refused to jump on the hickory stump and play games with the “devil.” The other is still standing on the hickory stump with fiddle in his hand – only time will tell for God works in mysterious way. Both men are our brothers and both men need our help for they’ve been devoured by the “wolves.” Will we say a prayer for LTC Terrence Lakin and Barack Obama or will we leave them by the wayside and complacently let the “Snuckers,” in the White House slice and dice them into minute little pieces? Good Morning, LTC Terrence Lakin. Just to keep you up to snuff on what is and what isn’t and what should be, here’s the scoop of the day. MSNBC, ABC, CBS and a slew of other rather bedraggled groups of our News Media are marching to someone’s drum in an attempt to derail you. It’s not just you Terry that the media dislikes, you see. Nope, they‘ve thrown all of us in the pot, the tea parties, the “birthers,” with a slew of other Americans who want to know a few simple questions. Question number one, (1) Is Barack Obama eligible to serve as President of our USA, (2) Why did he refuse to be vetted in 2008, and lastly (3) Why has he spent millions of dollars hiding his past? Frankly, it’s a multitude of us who have a right to know who our Commander In Chief is and if he has the qualifications to be our President. We need to be assured that our children, grandchildren and country aren’t in harm’s way! Terry, we’re categorized as a stupid bunch of racists! Funny, last time I looked my skin pretty much looked the same as the one some call “Mr. President.” The other time I looked, my very favorite bro looks just like me! Go Figure! These disgruntled journalists and news anchors have what I refer to as a complex of symptoms maybe Obama Syndrome would be a better fit. They greet and meet us daily with a barrage of ideas that are tinged with biased emotion and very peculiar attitudes ridiculing us for not accepting their word as gospel. One would think they’re the last of the good ole journalists, but none of us believe that because they keep forgetting the other side of the story. It’s sad to crawl out of bed to be bombarded with a bunch of propaganda – by the time MSNBC, ABC, CBS, NBC edit, re-edit and regurgitate the news, it somewhat resembles a baboon sitting in a dumpster scratching his fanny and picking his nose at the same time. Garbage in, garbage out, I always say! LTC Terrence Lakin, the good news for the day is many, many fellow Americans will not rest until you’ve had an honest day in court under the watchful guidance of judges who know and follow our Constitution. Real judges, who don’t feel empowered to rewrite the laws, but who have the mental capacity to do the job that they we hired them to do. Judges, who honestly and to the best of their ability interpret our Constitutional laws as set down by our forefathers. We have made our decision about the Terry Lakin story for we have that prerogative, but the question remains – how did we arrive at our decision. Did the news media influence our decision making process? Did we base our decision on the authority of politicians or teachers, preachers, historians and the propaganda from the news media? As it has been said, only your “hair dresser” will know! A very wise man realized many moons ago that decisions made on hearsay, propaganda or childish traditions would leave us stranded, a ship without a destination, a life without a cause, a transition from birth to death without principles could be the cancer that devours our minds. On January 2nd, 2011 LTC Terrence Lakin resides in a military jail and dismissal from the Army – many will walk on in the New Year without a second thought or a question about the court’s decision.